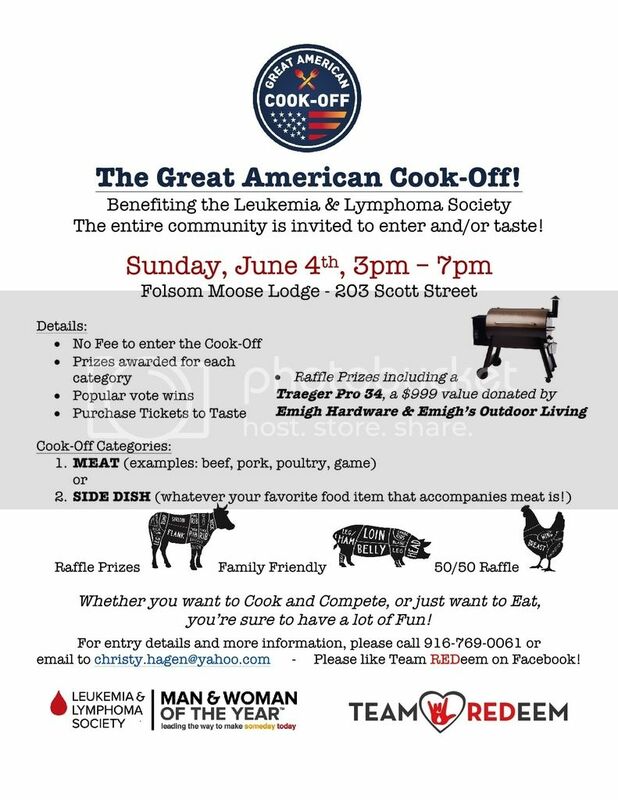 Celebrity Chef, Author and Folsom resident Scott 'The Sporting Chef' Leysath will be cookin' up some vittles for the Great American Cook-Off at the Folsom Moose Lodge June 4 at 3pm. This is a fundraiser for the Leukemia Society. Admission is free, tasting tickets are $10 and drinks are cheap. Come down and meet Scott, eat some good food, and support a great cause.